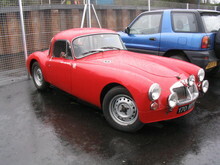 In 1961 the final version of the MGA arrived in 1961, the MGA 1600 Mk II. 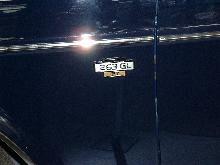 The Mk II had a slightly bigger B-Series engine of 1622cc ( as used elsewhere in the BMC stable ) which gave a slight improvement in the cars acceleration figures. 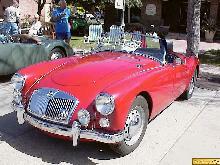 The Mk II also had higher gearing which improved the cars high speed cruising ability. Apart from these mechanical changes the Mk II also introduced new horizontal tail-lamps and a new radiator grille design ( which had recessed slats ). 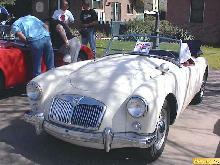 The MGA 1600 Mk II lasted in production for just one year. In 1962 the all new MGB came onto the scene brining with it even more civilised creature comforts. Practical Classics July 1995 - Featuring Buyers Guide MGA Stylish and Nimble. Click Here to view in our shop.